Being a quieter rural village, but with the lively beach resorts of Baga and Calangute only a short drive away, Arpora offers holidaymakers the best of both worlds. The inland village of Arpora is in fact chilled, quiet and laid back. Nestled pleasantly in the hills, you’ll be immersed in beautiful surroundings, where you can pick out salt plans, whitewashed churches and rice paddies backed by a forest of palm trees. Arpora is also a great base from which to explore the surrounding beach resorts of Baga and Calangute, giving you the luxury to be able to head back to your rural retreat at the end of a busy day. 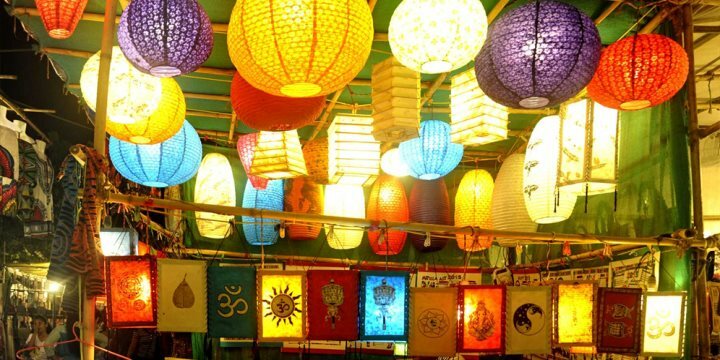 Held in Arpora, each Saturday night in the winter season, the bustling Saturday night market is a must for first time visitors to Goa. With live music and the smell of delicious street food filling the air, you know you’ve reached the market as you begin to wander past row after row of colourful souvenir stalls. Try your hand at bartering with the locals, where you can expect to receive anywhere between 25-50% off the asking price. Please find below a selection of our accommodation in the resort of Arpora in North Goa.